Our sensors can be mounted on a wide range of different platforms. Each platform has a specific use according to the desired sensing task. These tasks range from gathering detailed information on the plant leaf scale by means of ground vehicles, to the rapid acquisition of hyperspectral data of large areas from airborne vehicles. We present an overview of selected platforms in the following. 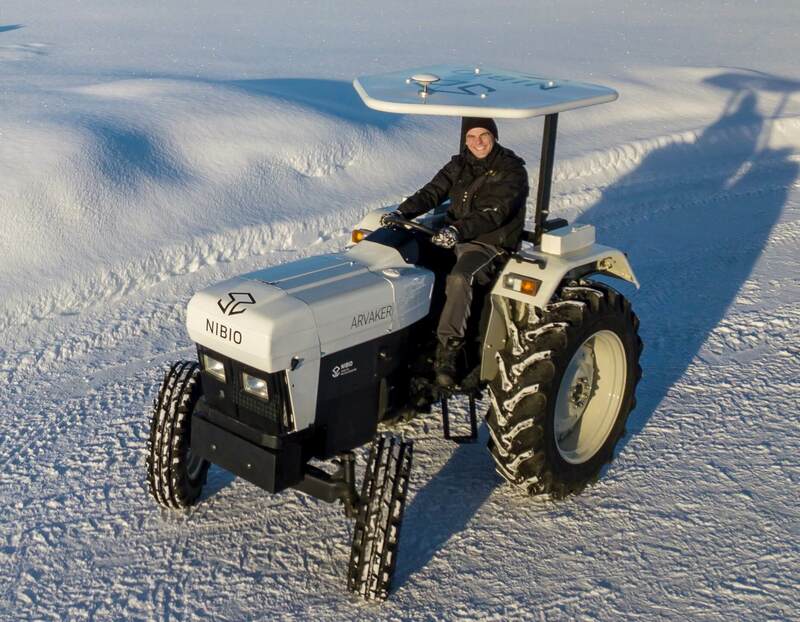 ARVAKER , the first conventional, electric tractor in Norway has finally arrived at Apelsvoll. We are very much looking forward to discovering this machines potentials and uses. The tractor has a gross weight of about 2 tonnes (4500lbs), delivers up to 50 electric horsepower and has a PTO delivering 540RPM. The rear lifting arms can lift up to 450kg (1000lbs). The tractor is equipped with 2-4 transmission with an additional electric reverser (H/L, 1-4 +R), and are capable of a top speed of 32km/h (20mph). Solectrac LLC in California, USA, builds the tractor. Our Electrical Robot-Tractor is originally a prototype developed by Agrointelli (Denmark). We have further enhanced the drivetrain and the navigations system into a self-developed solution suitable for the usage in our own research. The Robot- Tracor were named ALSVINN (Norse Mythology: The second horse that pulls the sun chariot along with ARVAKER). The name means “Very fast”, we have however chosen to focus on the relation to the sun-part, as it is solar-powered. It is probably not very fast. ALSVINN is electrical and has a three-point coupling with a hydraulic lifting capacity of 700kg. After our modifications, it has a gross weight of about 850kg. The battery Capacity (with potential of expansion) is 60 Ah (48 V). 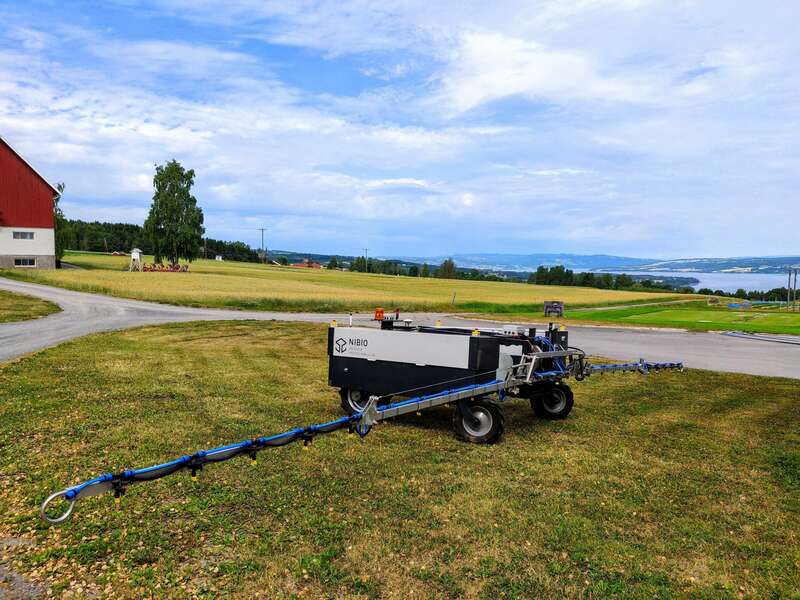 During our tests with a sprayer that weighs about 250 kg (prototype) developed for precision fertilizing (liquid fertilizer) precision spraying (Weed control) the consumption was around 30-40 A. 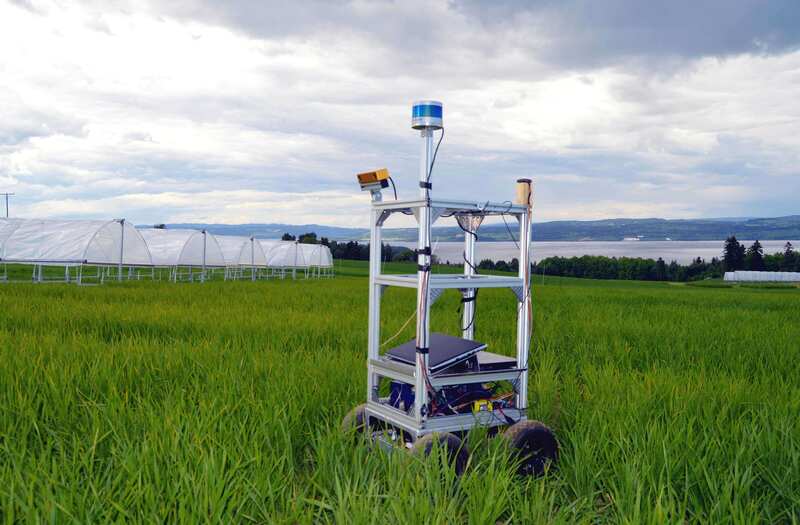 For testing our sensor equipment in close-range remote sensing scenarios from ground platforms, we utilize the Superdroid IG42-SB4-E 4WD All Terrain Enclosed Robot Platform. We have customized the platform to our needs and added autonomous navigation by the use of the Pixhawk Autopilot and additional GNSS and inertial navigation sensor information. 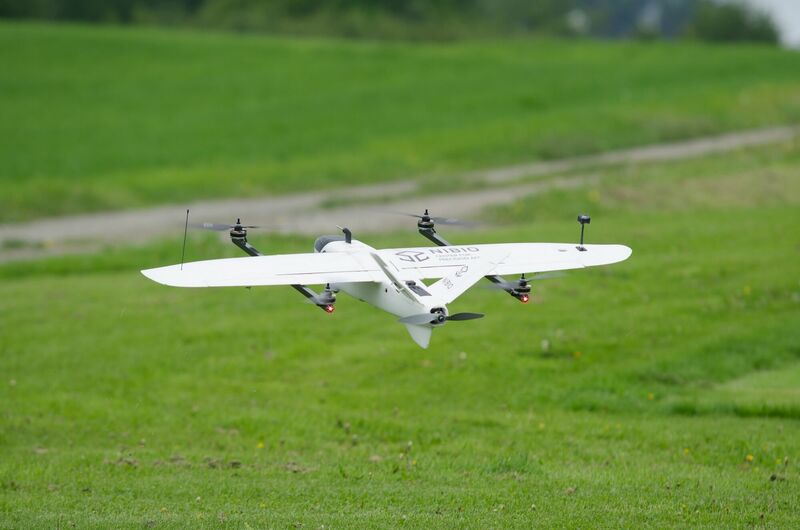 This Self-developed hybrid-UAV is designed to carry a variety of different sensors for intensive measurements of great areas. The Hybrid is named after Odin’s two ravens (Norse mythology). We used both names for the double functionality of the UAV, it is able to perform vertical flying like a helicopter and energy efficient flying like an airplane. Furthermore, HUGINogMUNIN serves some of the same purpose as the ravens did for Odin; The Ravens were sent out in the morning to gather information, which was passed on to Odin after their return in the evening. Which is why he was so knowledgeable! HUGINogMUNIN is equipped with a sophisticated sensors system for autonomous navigations, precise sensor stabilizing and registration of Tait-Bryan rotations (“Pitch, roll and yaw”). The Hybrid is further equipped with a spectrometer, measuring incoming radiation, along with other multi- and hyperspectral image creating sensors from Imec and Ximea for reflection measurements. The maximum flight time is around 120 minutes. In Normal flight velocity (in measure-mode); this flight time gives HUGINogMUNIN a total flight distance of around 150km on one battery charge. HUGINogMUNIN makes for a very efficient tool in collecting the data needed in high-precision agriculture. There are no existing commercial products able to match this solution, not even international. 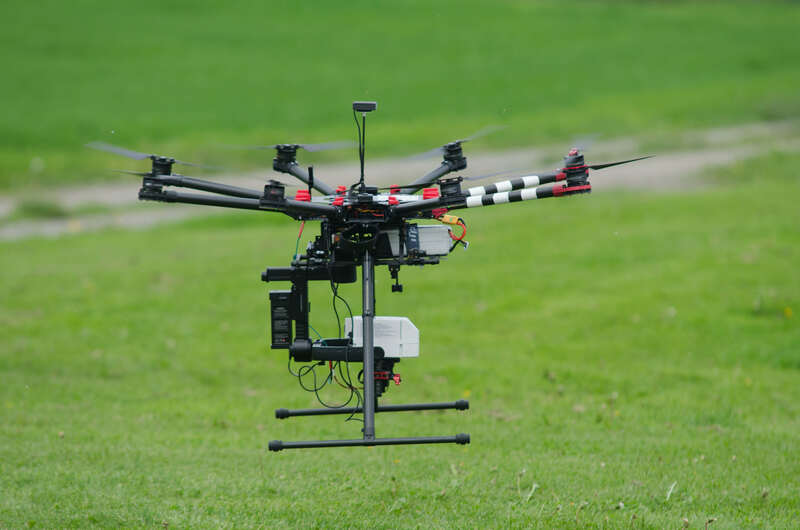 Our three modified DJI S1000+ multi-rotor platform serves our needs for perfectly stabilized sensor measurements with a payload mass of up to 4 kg. Due to its strong lifting capability, it has a decreased flight time of around 15 min. 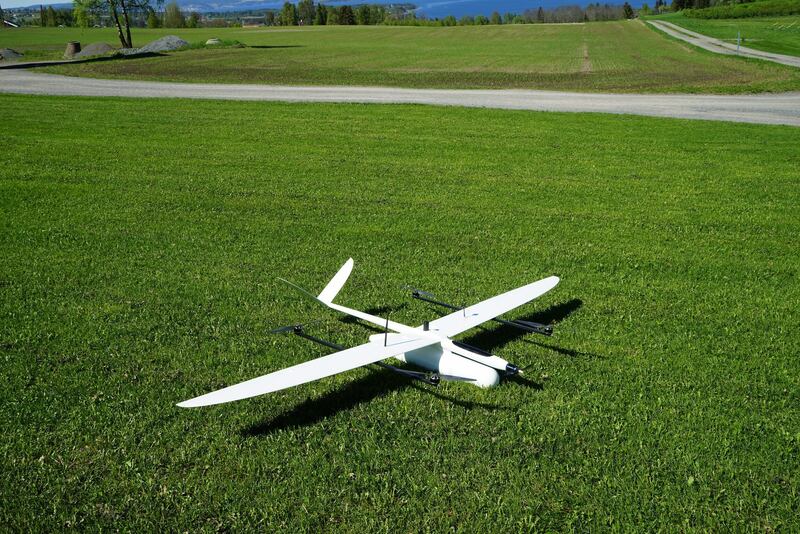 We have developed a prototyp fixed-wing UAV with vertical take-off and landing capabilities. 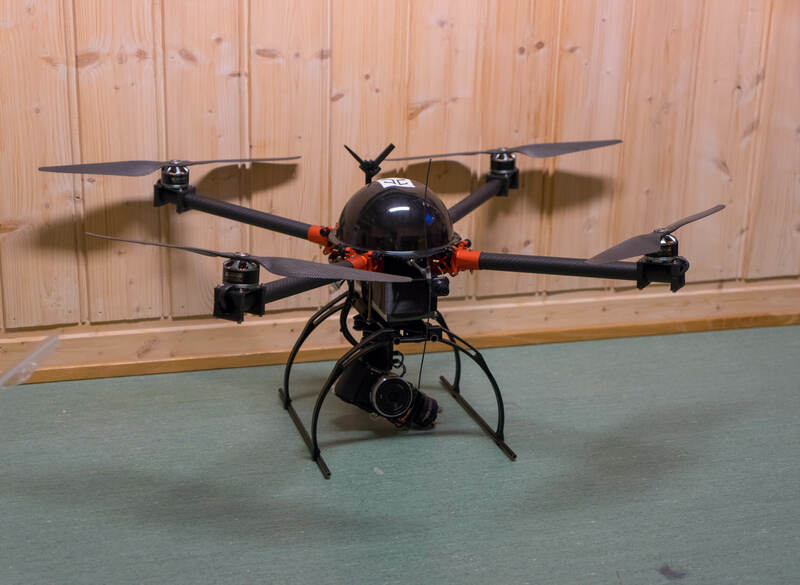 It is equipped with a 16 Mpx RGB camera and is capable of performing completely autonomous mapping missions. The flight time is around 60 min. We perform long endurance flight missions with our customized V2 Quad multi-rotor platform. The platform can be equipped with several imaging sensors up to a total payload mass of 1.5 kg. The flight time is around 30 min. 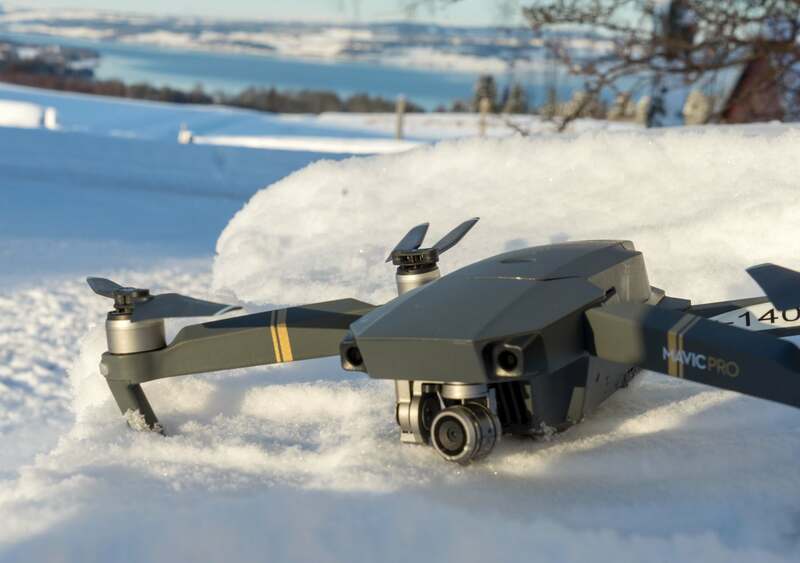 We use the off-the-shelf DJI Mavic Pro as our flying eye to document our field work and to capture scenic picture and video footage.